King was a replacement for Dr. Keel, and like him, he is a doctor, who has his surgery at 12 Marjoribanks Terrace, SW3, London (The Sell-Out), the telephone number of the surgery is Gerrad 1071(The Sell-Out). One knows little about the doctor. He's around ten years younger than John Steed and works as a general practitioner. In Mission to Montreal, he replaces Carla Berotti's doctor, Dr. Bronson. The film star requires constant medical attention but is also up the something. King is left in the dark by Steed at first and thanks him for a "free trip in a luxury liner, sea air, and just one patient." 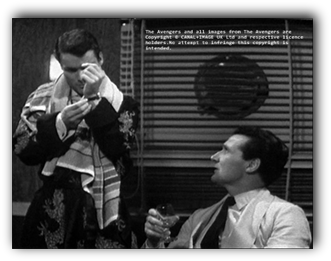 After a man is mistaken for King and murdered, the doctor realizes that Steed has sent him on a dangerous mission. Steed and Dr. King appear to be well-acquainted, Steed trusts him, and he knows that King is more than capable of handling dangerous situations. There is a relaxed atmosphere between the two-man. Steed makes mocking comments about King's dressing gown. But Dr. King has a ready tongue and ironically asks Steed about "his rig" because the agent is posing as a steward aboard ship. Steed uses King to observe people, to spy on them or because of his medical knowledge. In Dead on Course, the doctor has to examine corpses following a suspicious airplane crash. 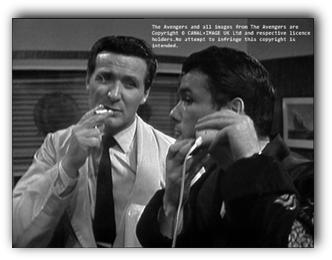 Steed is called in to investigate the incident, and King assists him on the case. King finds out that not all crew personnel is dead - a hostess is still alive, and the co-pilot is unaccounted. 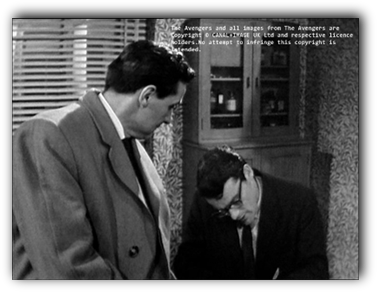 King informs Steed, that the pilot of the plane did not die in the crash, but got strangled. The third and last case with Dr. King is The Sell-Out. Dr. King seems no longer willing to work with Steed so eagerly as he's always being kept in the dark. "I'm just going to be a doctor - so you can go away and leave me in peace." "Listen, Steed, from now on I'm going to be a doctor, nothing else. I'm not an agent, a counter spy, a gunman or a cover for you or anything you can use in your work. I'm just going to be a doctor - so you can go away and leave me in peace" (The Sell-Out). 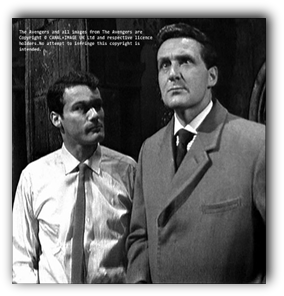 Martin King is one of three partners against the underworld in the year 1962, and he worked only for a month with John Steed from May to June 1962 on three cases. Dr. Martin King (Jon Rollason) is Steed's partner in three episodes of series 2: Mission to Montreal, Dead on Course and The Sell-Out. Only one of these episodes, The Sell-Out, occurs in London.